Today, businesses automate just 25 to 40 percent of their workflow, and 88 percent of process mistakes are due to humans. Your challenge is in creating the right mix of people and automation to drive productivity and identify improvements with process intelligence. What is Robotic Process Automation? 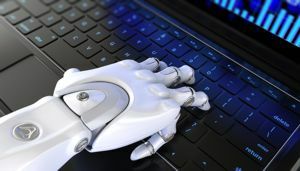 Robotic Process Automation (RPA) uses software robots and intelligent business rules to mimic specific actions employees take while performing tasks in various applications. RPA can automate manual, repetitive tasks, eliminate errors and deliver 100 percent data accuracy in industries including banking, insurance, transportation and logistics, manufacturing and finance and accounting. Use the Contact Us Panel or CALL NOW 0808 281 1100 now to find out more about using RPA robots to automate your business.